A leading British vape industry group has called for the government to scrap badly designed EU laws on vaping, attracting opposition from anti-nicotine zealots. Meanwhile the US government has released a new report on the fire hazard of e-cigs; unfortunately it seems designed to alarm more than inform. A team of Indian researchers has provided more evidence that vaping is much safer than smoking, while another British stop smoking service has begin actively encouraging its customers to vape. As mentioned by Simon Clark yesterday, ASH spent this past week trying to whip up a frenzy about the ‘NHS Pledge’ that is seems to have organised as part of its role with the Smokefree Action Coalition. You can see a copy of the ‘pledge’ here, it is basically yet more bullying of smokers and is based on the usual tobacco control industry truth-bending nonsense. However, the briefing note that accompanies it contains a direct call for help from the NHS to lobby the government in favour of policies advocated by state-funded organisations like ASH. Doctor Robert Cranfield is an Emergency Medicine specialist in Madison, Tennessee. During his 37-year career he has moved into general practice, but also finds time to complete research into topics of interest, the health effects of ecigs in this case. Our second study is from the University of Rochester, where researchers looked at inflammatory and oxidative responses to electronic cigarette vapour. Richard Holliday is a Speciality Registrar (StR) in Restorative Dentistry and an NIHR Doctoral Research Fellow at Newcastle University. He is interested in research related to periodontal diseases and is currently completing a doctorate looking at “e-cigarettes as a smoking cessation or harm reduction tool for patients with periodontitis”. A notification pertaining to the ban was issued by the State drug controller (SDC) Ravindra Kumar Sinha, and also distributed to all assistant drug controllers (ADC) and drug inspectors in the State. Anti-tobacco campaigner and executive director of Socio-Economic and Educational Development Society (SEEDS) Deepak Mishra, said that the ban was implemented in order to prevent nicotine consumption amongst adolescents. Delhi-based businessman Rahul Sainani, 32, has been vaping for almost a year and says he is ‘almost 99% off cigarettes’. He used to smoke a pack a day. “Apart from a drag here and there, I have nearly stopped. I cut down almost as soon as I started getting my fix in another form,” Sainani adds. He’s not sure about getting over the vaping, though. Vaping may have its drawbacks.. 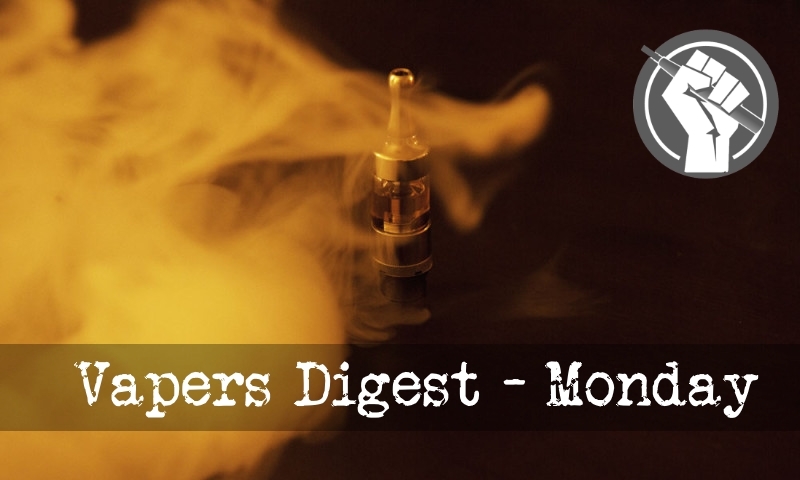 The federal Department of Health has recently outlined the rationale for its policy on nicotine vaporisers, or electronic cigarettes. Unfortunately, the report is ­seriously flawed and may be ­harmful to public health. The policies of the department and the Australian Medical Association are both in stark contrast to those of their British counterparts, Public Health England and the British Medical Association. AS thousands of smokers across the country grapple with the decision to quit smoking — or have already seen their decision to quit in 2018 fall by the wayside — an Australian government ban on nicotine e-cigarettes remains in place. But supporters of nicotine vaping say 2018 may be the year die-hard smokers — the very ones targeted by a decade of Quit campaigns — will try to force the government hand an overturn the ban. Thousands of Australians are breaking the law in an attempt to break their smoking habits. Over 250,000 Australians vape nicotine as a smoking alternative, a practice which is illegal without a prescription. Tobacco treatment specialist, Dr Colin Mendelsohn, tells Chris Kenny smokers need to have easier access to the alternative. The Philippine College of Chest Physicians should consider following the lead of the—British Medical Association, which recently reversed its negative position on electronic cigarettes or vapes and now supports their availability as a means to reduce the harm caused by smoking cigarettes, a consumer advocacy group said. Every year, without fail people resolve themselves to doing something. I plan to cut down or stop drinking/smoking. To lose weight. To go to a gym. We’ve all made these resolutions and, 99 times out of 100, we never actually stick with them. Some do, and I’ve got nothing but admiration for those that can actually stick with a ‘New Year’s Resolution’, but most of us last maybe a week or two, sometimes a month before jacking it in. The recent study from the Centres for Disease Control has drawn its fair share of critics. What it did provide was a wealth of data for analysis. In carrying out a study looking at brand preference, CDC researcher Tushar Singh has inadvertently shone a torch on the bias residing within the organisation – and his understanding of the issues. Hope? Hope? What the hell it that?